Looking for a beautifully updated open concept ranch with Pottery Barn decor & versatile floorplan? This is it! Showstopper sundrenched family room addition with 12 foot vaulted ceiling with rustic pine wood finish. 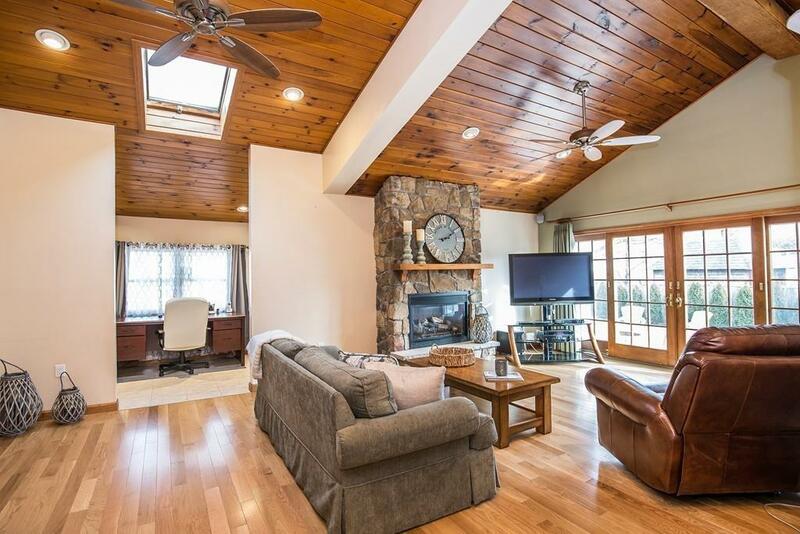 Floor to ceiling fieldstone fireplace with gas insert & hardwood floors. 6 foot french doors open to a paver patio & professionally landscaped outdoor space with recently planted arborvitae treeline & irrigation system. Oversized custom eat in kitchen with upgraded appliances, granite, hardwood floor & triple mulled casement window for plenty of natural light. Full tiled bath with soaking tub and upgraded cabinetry. Master with recently installed closet organizer system, 2 more generous sized bedrooms with hardwood floors complete the main level. Finished lower level with bonus room, new recessed lighting & half bath. Corner fenced in lot, vinyl replacement windows, central air & IDEAL WEST METHUEN COMMUTER LOCATION! 1ST Open House Sunday 2/10, 1-3 COME SEE!